TVAddons back online! 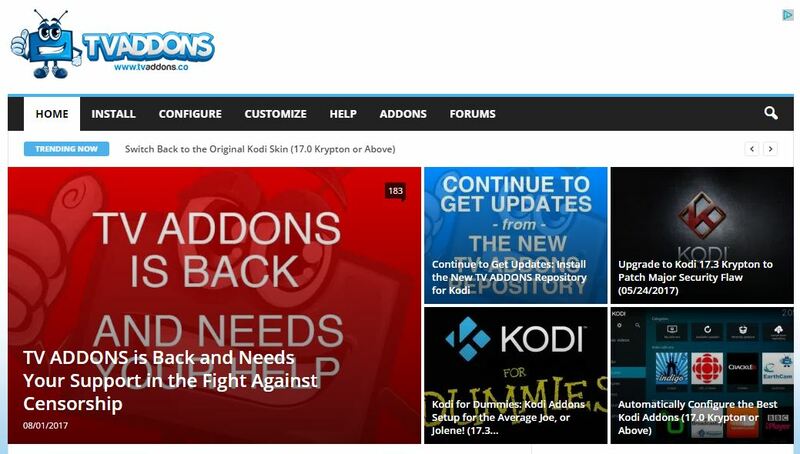 And with TVAddons coming back online also comes the TVAddons repo. This step-by-step guide shows you how to install Fusion Wizard now that TVAddons is back online. From the Kodi home screen, select the SYSTEM icon. In Kodi 17, the System icon looks like a “gear” that sits in the top left corner. Now select Unknown Sources from the right side of the screen to Turn On unknown sources. Then select “Yes” to acknowledge that you want to enable unknown sources in Kodi. Now go back to the SYSTEM menu (the gear icon in the Kodi 17 home screen). Now select the field that says “None“. Then select OK to finish adding the name. Press OK once more to completely finish adding the new source. Then select the Package Installer icon. The package installer icon is a small icon of a “little box” that sits in the top left corner of the “Add-Ons” screen. Now choose the “kodi-repos” folder. Then choose any TVAddon from the list to install TVAddons, such as Newsy. Finally, select the icon of the TVAddon you’d like to like to launch. Use a VPN to hide your IP address and your location! Hey John! As you’ve probably noticed, there are quite a few live sports addons available for Kodi. I wrote about some of my favorites last year at , but it’s a bit outdated. Thanks for bringing this to my attention! My favorite at this time is Sports Devil 2017. I’ll write an updated install guide for it now, so you should be able to access it at Kodi Install Sports Devil 2017 Addon momentarily if it’s not up by the time you read this! edit- It’s up now! Enjoy!